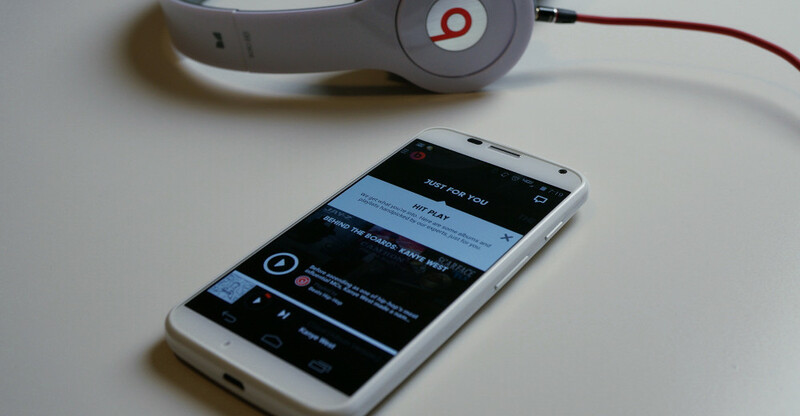 With Beats Music now live and available with a 7-day free trial for Android users, we decided to take it for a spin to see how it stacks up to Google Play Music, our current favorite streaming music service. It would take something special to pry us away from Google’s music service, but we are willing to give anything a fair shot. And since Beats Music has worked with special curators to bring you custom made playlists for any moment in life (the “Backseat Love” playlist is already a favorite), plus has the backing of music industry mega-powers, how can we not give it some serious thought? When first booted, the Beats Music app asks that you login and then choose favorite artists and genres. Once those three steps are complete, you are taken into the app where you’ll find one of the most polished first app offerings I’ve seen in some time. The app may have somewhat of an iOS feel to it, but it’s not difficult to use or navigate in my opinion. You’ll find sections titled “Just for you,” “The sentence,” “Highlights,” and “Find it,” all of which offer a different music experience. Some sections present music that Beats thinks you’ll like based on your musical tastes, while others bring you new music depending on your mood. You can create playlists, follow artist pages, follow curator pages (like Pitchfork), download music for offline listening, favorite tracks, create a library, and more. As mentioned in our post earlier, the 7-day free trial does not require a credit card, so anyone (in the U.S.) can try the service without worry. No auto-renew scam to be found here.